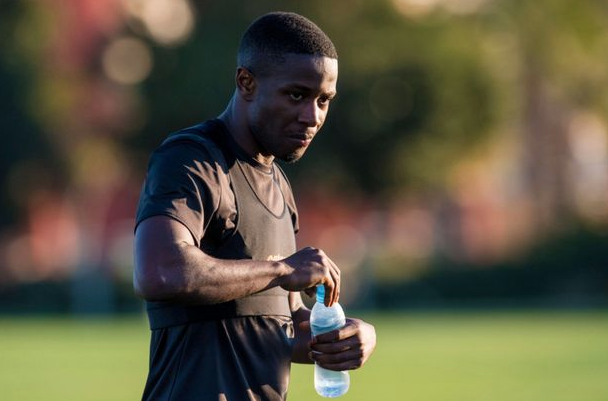 ‘Exclusive’ claims NUFC plan to sign 19-year-old striker who’s just scored 30 goals in 24 games – NUFC blog – Newcastle United blog – NUFC Fixtures, News and Forum. Newcastle want to sign highly-rated Spanish striker Alhagi Touray according to Football Insider’s Peter O’Rourke. The 19-year-old has bagged an impressive 30 goals in just 24 games for Santvicenti this season – making him the top scorer in the Catalan third tier. He’s been invited for a trial with Premier League rivals Burnley, with interest from Palace and Cardiff also reported, however it’s claimed today that we’re keen to sign him up. ‘Newcastle United want to sign prolific Spanish striker Alhagi Touray as he heads to Premier League rivals Burnley for a trial, Football Insider understands. ‘Burnley scouts have been monitoring the powerful forward for some time and a club source has told Football Insider they have now invited him for a trial at Turf Moor as they look to steal a march on their rivals for his signature. ‘Touray is set to play in a specially arranged behind-closed doors friendly on Monday so that Burnley’s coaching staff have a look at him in action at close quarters and if he impresses during his time in Lancashire he could be offered a move to the Premier League club. ‘Touray has been earning rave reviews for Catalan third-tier Group 4 side Santvicenti this season and is currently top scorer in the Catalan third tier. Scoring goals for fun in the lower league in Spain doesn’t mean a great deal if we’re looking at this from a first team perspective, but it would appears as though Touray is a player we’re looking to add to our U-23 ranks. There’s been a few promising young strikers signed at reserve level since Rafa’s arrival – Elias Sorensen and Yannick Toure being two of them – so time will tell if Touray is to be the next in line. This has got Cashley stamped all over it…! Its impressive for a 19-year-old to hit 30 goals in just 24 games. But thats for Santvicenti which is in Catalan 3rd tier.